Before arriving in El Salvador, one of my concerns about this trip, was how these struggling families would prepare, from their food stores, a meal for us. 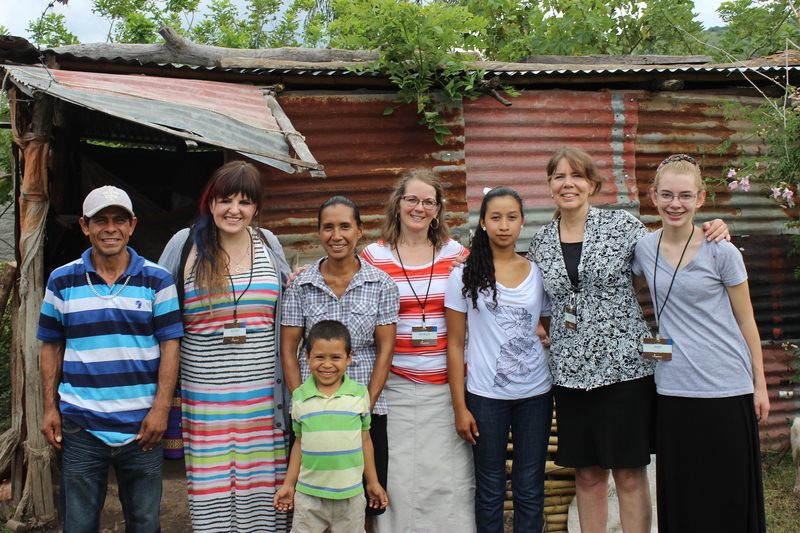 It had been in our trip guide that we would have lunch with each family during our daily home visits. I was so thankful when we actually brought lunch to them. While we were in the center greeting our sponsored kids and touring the facility, Compassion El Salvador staff was busy gathering not only our lunches, but also groceries and household items to give to the families! On this first home visit we had Pollo Campero and soda. We also had a large package of staple foods to leave with them, along with some household cleaners and towels. It was at the table, under the canopy, that their story began to unfold as we ate the fast food Pollo Campero meal. The father told us of his struggle to find work, that he had even traveled to the United States illegally and sought whatever work he could find, until he was caught and deported. 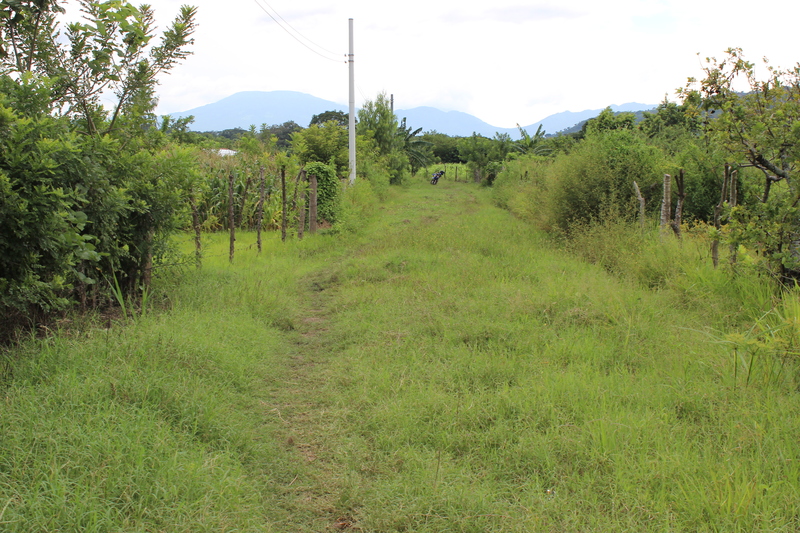 Currently he works as a day laborer, mostly in the fields in the area. There has been a drought this year and crops have not be as plentiful. The ripple effect means day laborers have less opportunity to work and earn a wage. Their oldest daughter has grown and moved away. Flora, the teen daughter who was home for this meeting, actually lives with her grandmother in San Salvador, so she is able to go to school in the city. She travels by way of 3 buses to get to her grandmother’s neighborhood in San Salvador. It takes about 4 hours she told us. That leaves Marlon, his mother and father in the home. 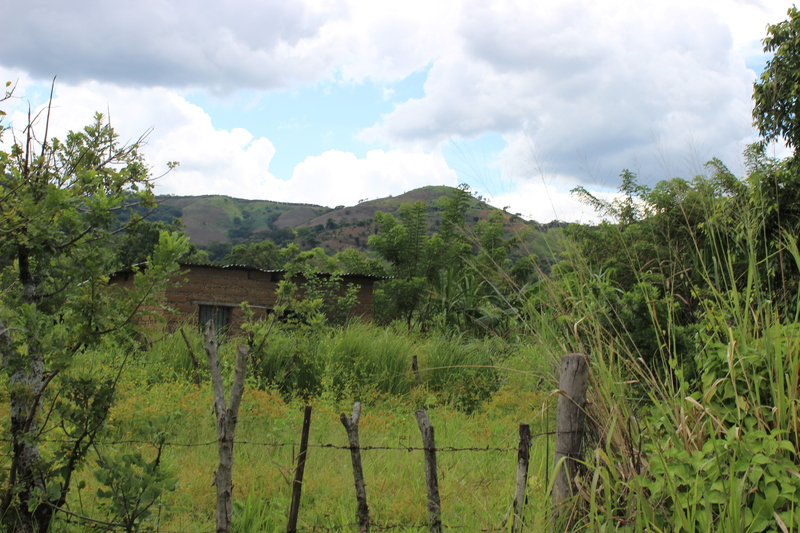 The family lives in a small, corrugated metal home, which they have been able to purchase. They are now able to stay in one place and find work when it is available. Marlon’s mother tearfully shared her gratitude in having a home finally, and being able to remain in one place. She then opened up about the illness she is concerned she might have. As she spoke, I recognized the gripping hands of depression. That ugly beast is present in every culture and every economic status. But it is no wonder that a woman who has struggled with extreme poverty for so long might be weighed down by the pain and hopelessness of it all. While she expressed gratitude for God’s provision for her family, she is still pressed down. Poverty is a cruel landlord. But that is not where the story has to remain for this family. By having a place to live, a home, they are able to stay in one place. And Marlon is able to be a part of the Casa del Pan Child Development Center at the Iglesia Evangelica Roca Eterna de los Singuil. Whether his father finds work that day or week or not, Marlon will receive healthy snacks and meals. He will receive tutoring that bridges the gap until he goes to school, and tutoring when he does start school. The staff of the center will teach Marlon about Jesus, the Bible and how to follow Jesus. His family will be welcomed at the church and will receive encouragement. They will be offered the life changing gift of the Gospel of Jesus. 121 Shall I look to the mountain gods for help? 2 No! My help is from Jehovah who made the mountains! And the heavens too! 3-4 He will never let me stumble, slip, or fall. For he is always watching, never sleeping. 5 Jehovah himself is caring for you! He is your defender. [a] 6 He protects you day and night. 7 He keeps you from all evil and preserves your life. 8 He keeps his eye upon you as you come and go and always guards you. That knowledge encouraged me as we gathered in a circle with Marlon and his family. While I was only there for a brief time, praying with this family and over this family was a hopeful opportunity. We offered the hope of the Gospel to each member, and prayed over them. I left with the peace of knowing God is able to do abundantly more than we can ask or imagine. 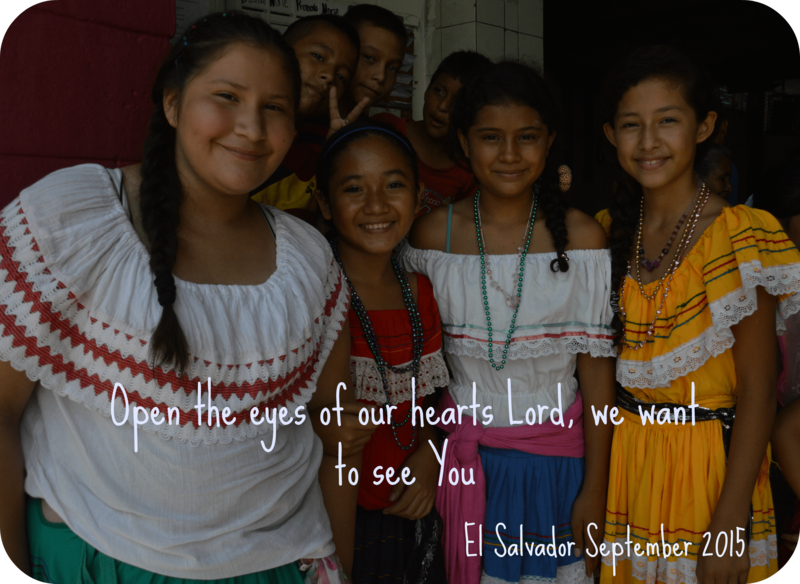 Thank you for reading these posts about our time in El Salvador. If you are inspired to offer hope to a child through sponsorship, you can do so here. Be encouraged that the hope you offer this child will extend to his or her family, the church and the community. I would’ve had the same worry about food…that’s wonderful that you guys brought lunch to the families along with other supplies. And I’m so glad that Marlon is growing up with the consistency found in the Compassion project, and thankful that it can help lift some of the burden from his parents. What a beautiful family. Thanks for the photos! Hannah, as parents we know how important consistency is, and I am so thankful that Marlon now gets to experience it. I can’t tell you just how much hope for them that I left their home with! Great post Michelle! Very interesting too, especially interesting about the father going to the US illegally to find work. I also had concerns about the food too, I wondered how we would prepare it, if it would be safe, would we take the ingredients as not to take from their own knowing they could not afford to feed us. I was very glad that the groups took the food to them. Thank you for sharing, it is very interesting to read what happened on everyone else’s home visits, this is one home visit I had not heard about yet among many I am sure!